Getting the best sound out your guitar can be a journey. Many different factors contribute to great guitar sound and playability. Everything from the fretboard, type of wood, and shape of the neck have an impact. But when it comes down to it, the strings you use will affect your guitar playing more noticeably and immediately than any other factor. You can even enhance the tone of the best acoustic guitars with a new set of strings. Guitar strings can be as particular as the instrument itself. Playability, durability, tone and material should all influence your decision when choosing the best acoustic strings for you. It can be a bit overwhelming to say the least. But we here at Acoustic Bridge have your back. In this article we break down our top 5 acoustic guitar string brands and their top products, so you can decide which is best for you. Since 1997 Elixir has been producing widely available and popular guitar strings featuring innovative coating technologies that add to playability and tone. 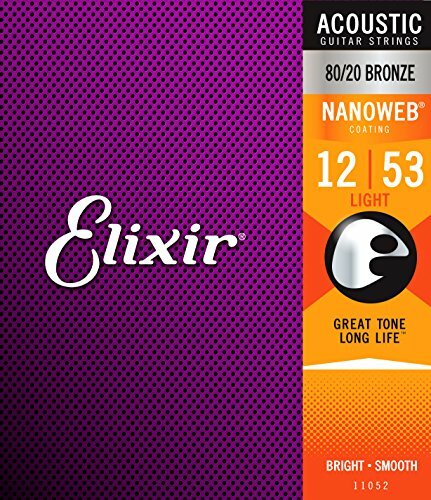 Elixirs are widely recognized as some of the best sounding acoustic guitar strings available, and it’s this patented coating that truly sets these strings apart. Over time, dirt, oil, skin cells and other debris can build up on typical strings, shortening their lifespan and changing the quality of sound. Elixir offers both Nanoweb and Polyweb coating flavors with different features. The Nanoweb strings offer a more traditional sound with a thin, barely-there, feel. Polyweb strings offer more of a played-in tone. Try both of them out for versatility in your musicianship. D’Addario is another company that makes great acoustic strings. 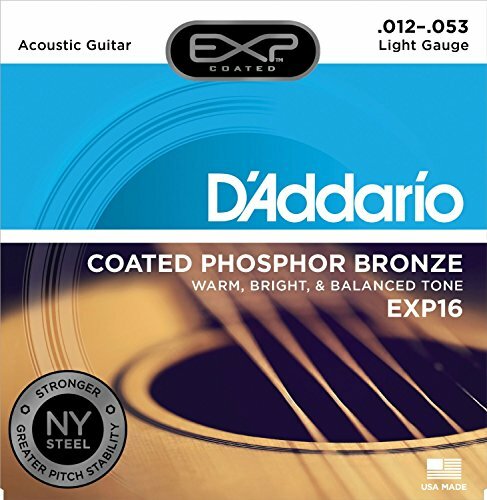 Like Elixir, D’Addario offers their own brand of coating, EXP Coated Technology, with a groundbreaking application process that makes for what D’Addario claims are the best strings for acoustic guitars. Another quality that sets D’Addario strings apart is the diverse array of material construction. Patented combinations of bronze, copper, silver and other alloys create a wide range of sound options for your playing experience. Variety in string construction methods also provides a range of finger feel options for experienced to beginning players. If you’re wondering what are the best acoustic guitar strings, look no further than one of the most trusted names in guitars. A historic name in guitars, Martin still believes in making their own guitar strings to complement their quality range of guitars. Martin offers a huge selection of gauges of strings in order to give players the most options in sound quality and musical control. 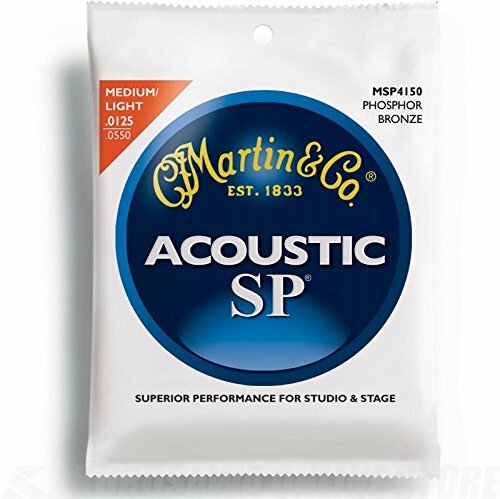 One of Martin’s most innovative products, the SP Flexible Core strings have a unique construction which help reduce finger fatigue, increase the response and maintain excellent tension. Many of the biggest names in music have come to rely on Ernie Ball strings for their electric as well as acoustic strings. Keith Richards, Jimmy Page, the Eagles and Dierks Bentley are just a few stars that rock Ernie Ball strings on their axes. Even though they are best known for their electric strings, Ernie Ball also offers over 100 different varieties of acoustic guitar strings with wide range of options in gauge and finger feel for your playing needs. Whether its bronze strings with deep, warm tones, steel strings with softer sounds or the classic, clear rich sound of nylon, you’ll be able to produce a wide variety of music when you play with Ernie Ball acoustic guitar strings. 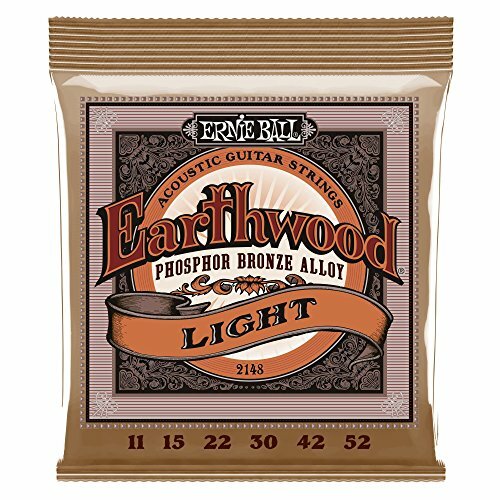 My personal favorite are the Earthwood strings, which really bring out the fullness and warmth of any guitar. The definite outlier on our list of the best strings for acoustic guitar, ClearTone produces some of our favorite acoustic guitar strings in a wide range of styles. To top things off, acoustic guitar string reviews by musicians and longtime music industry professionals consistently give ClearTone strings high marks. Another premium coated guitar string manufacturer, what sets ClearTone’s process apart is the patented treatment of coating that is only one micron thin. This super-thin coating eliminates the flaking of some other coated string brands and leaves no slippery feel or dampening of tone. 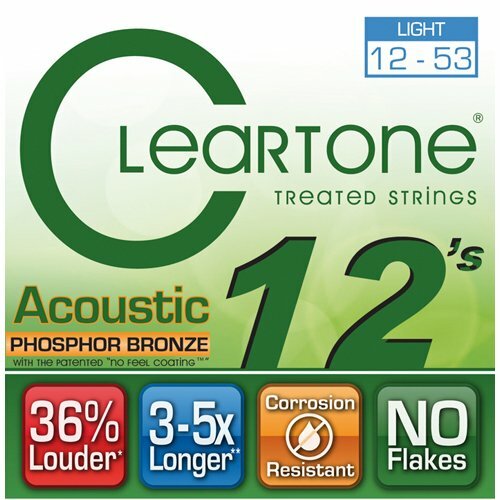 What you get with the ClearTone Treatment is an amazing combination of the long life of coated strings without compromising any of the other qualities you’ve come to expect from the other best sounding acoustic guitar string brands. When you’re shopping for strings, you’ll notice that they come in a variety of thicknesses, or gauges. From extra light, light, and medium, to heavy and custom sizes, there is a string gauge out there for everyone. But which one is right for you? What string gauge will give you the tone you need and still hold up under you fingers or under an acoustic guitar capo? Here are a few things to consider when deciding between different gauges. There is a dizzying array of different guitar string materials ​out there, from basic bronze strings to specialty strings like brass, silver, and “silk and steel.” Choosing between them can be quite confusing, but unless you’re going for a specific tone you’ll probably want to stick with the materials we outline here. The two most common types of strings are 80/20 bronze and phosphor bronze. 80/20 bronze strings produce a clear and bright tone, but tend to wear out more quickly. Phosphor bronze strings last longer, and add warmer and darker overtones to the brightness of the bronze. Coated strings come in both 80/20 and phosphor bronze, but they have a polymer coating that prevents wear and increases the life of the strings. These strings are more expensive, but they can last many times as long as uncoated strings. Coated strings tend to have a warmer tone with less brightness and sustain. As an acoustic guitar player, you have many choices out there when it comes to the best acoustic strings. Coated or uncoated, material quality and composition, gauge thickness, reputation and durability are just a few of the considerations when comparing acoustic guitar strings. Hopefully we’ve started to break down the mystery of options by sharing with you our Top 5 favorite brands, but there’s no need to limit yourself to just one set of strings. Go out there and experiment between the wide range of options on the market today and make music in a variety of styles and tones.